"As Christians we don't just sit back and wait ... we are not a passive people ... but rather, we get ready and prepare. We actively give of ourselves in Jesus's name. In fact, the famous prayer of St. Francis is a perfect to-do list ..."
Father went on to talk about the recent photo that made national news, of a NYPD officer giving a pair of boots to a homeless man. I had seen the photo of course, but today, the story behind the photo really moved me to tears. Sure, I'm hormonal but that's a truly beautiful story - and a wonderful example as well. Advent in action right there. So in truth, I should be lesson planning right now ... but instead I'm sitting in my comfy corner chair looking over photos from the past few weeks. The following pictures were actually taken on September 14th ~ Holy Cross Day. We had some "faith at home" fun that afternoon, but I never got around to posting about it! I also had this little craft project waiting in the wings for some time ... a very simple prayer box. You know the saying, "Give it over to God?" Well, that's just what this box is for. Often I'll say to the boys, "Let's make sure to remember [name or need] in our prayers" ... or ... "Let's give that problem to God and see what He comes up with." I thought it would be nice - especially for Earlybird - to have a hands-on activity to go along with those prompts. It serves as a gentle reminder for them *and me* to pray and trust in God. This is a small unfinished wooden recipe box and a small wooden cross craft piece (both purchased at the craft store). ... with good things like fresh whipped cream and homegrown raspberries! Delicious and (hopefully) memorable. A little bit of faith at home, a little bit of chocolate ~ a very nice way to spend an autumn afternoon. And so now we're heading into one of my favorite weeks on the Catholic calendar - we have Michaelmas (or the Feast of the Archangels), the Feast of St. Therese (special to Bill's beloved late Grammie) and the Feast of the Guardian Angels. And peeking into next week we have our family patron saint day ~ the Feast of Saint Francis ~ and it so happens our church is holding a "Blessing of the Pets" next Sunday. A wonderful activity for sure - but there is much debate over whether or not our Archie and Ollie would tolerate such an event! So many fun things to honor and celebrate with the children all year round, but Autumn brings so many wonderful days like these. I'll be posting more on our plans for the coming season in another day or two ... for now though, I'd best wrap up and be off. I hope you've all had a very nice weekend, and thanks so much for stopping by! My heart is filled with sorrow for the people of Norway this morning, especially the families who lost loved ones in yesterday's shocking and tragic attacks. I have heard from Emma, a reader from Norway, that she and her loved ones are OK, and I am so glad to hear it. To all our Norweigan friends ~ especially Gill, a dear longtime reader ~ I am thinking of you all this morning, and praying you are safe. Please drop me a note if you are able. Our hearts are with you today Norway, and our prayers go out for your recovery and healing. And nine months later we have Christmas! Our plans for today? Earlybird and I will paint and prepare a small pot for planting (some quick-growing radish seeds). 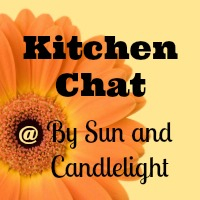 We'll explore our yard and look for signs of new life growing ... and I'm baking an "angel" food cake to serve after supper with fresh blueberries and whipped cream. It's also International Waffle Day! (As opposed to National Waffle Day which falls on August 24th.) This is a great day to have waffles for supper! We'll have ours at breakfast, though - Bill makes fantastic waffle dippers, but those are reserved for leisurely weekend mornings. Today we'll just have some Nutri-Grain toaster waffles, a favorite staple in our freezer. Thank you so much for stopping by ~ see you all again very soon! ... and for everyone affected by the devastating earthquake and tsunami that hit Japan overnight, as well as those areas still under threat. I also wanted to let my readers know that Sue in Japan (a fellow blogger and frequent commenter here) is OK. Frightening news keeps pouring in this morning, and so our prayers continue. God be with all involved in the rescue and recovery efforts. To turn away from war and work for peace. And with peoples of every nation, race and creed. As we celebrate this day with our family and friends. 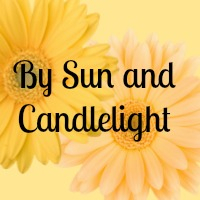 In the midst of the Homeschool Blog Awards, Heather of Especially Heather was diagnosed with a brain tumor, and today she will undergo surgery. 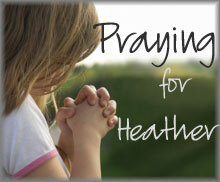 Please keep Heather in your heart today, and offer a prayer in her name. Pray for her surgery, her recovery and her beautiful family. And if you have a moment, stop by here and let her know.